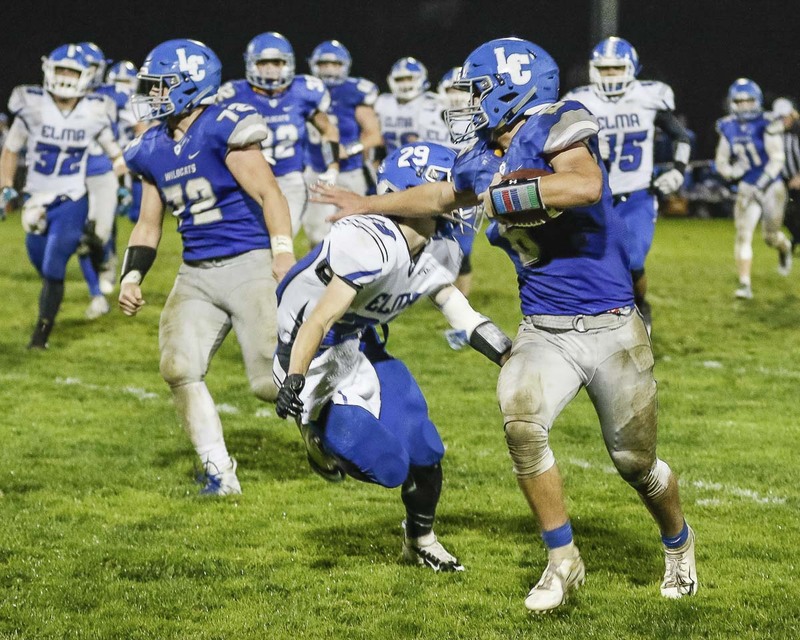 LA CENTER — The La Center Wildcats gave the Elma Eagles a scare Friday night. They tied the Class 1A district playoff game in the second half, even had a couple chances to take the lead. In the end, it was a season-ending playoff loss for the Wildcats. But it was another playoff berth. That was an accomplishment in itself after the Wildcats opened the season 0-4. 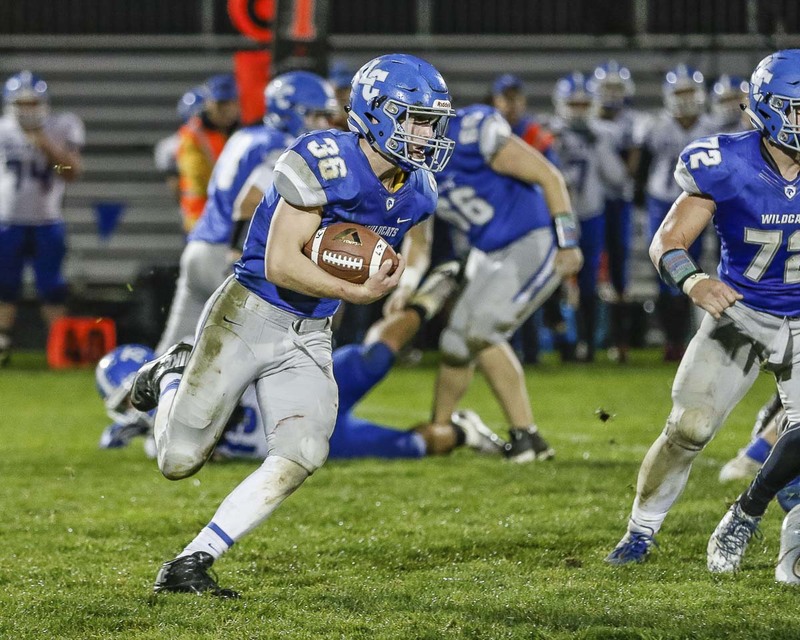 Taitum Brumfield rushed for 164 yards and three touchdowns and Elma scored the final two touchdowns for a 33-21 victory at La Center. The Eagles advanced to the state playoffs. The Wildcats will feel the pain of this defeat but also feel proud of how much they improved. After four losses in the row, La Center went 4-1 down the stretch, all Trico League games, to finish in second place. The Wildcats also kept their impressive streak alive: This is now 13 consecutive playoff appearances. The 20 new starters the team had this year took time to find the right chemistry, but they figured it out to make it to Week 10. La Center coach John Lambert recalled a jamboree scrimmage during the summer on the same field. The coach called it a “successful 4-6 season,” after all the Wildcats endured. They nearly made it to 5-5 and into state. Trailing 14-0 just minutes into the game, the Wildcats fought their way back. First, it was a 95-yard kickoff return for a touchdown by Dodson. Elma would go up 21-7 in the second quarter, but La Center responded just before halftime when Lambert scored on a 5-yard keeper. The Wildcats tied the game on the opening drive of the second half, capped by Dodson’s 12-yard touchdown run. That was it for the La Center offense, though. 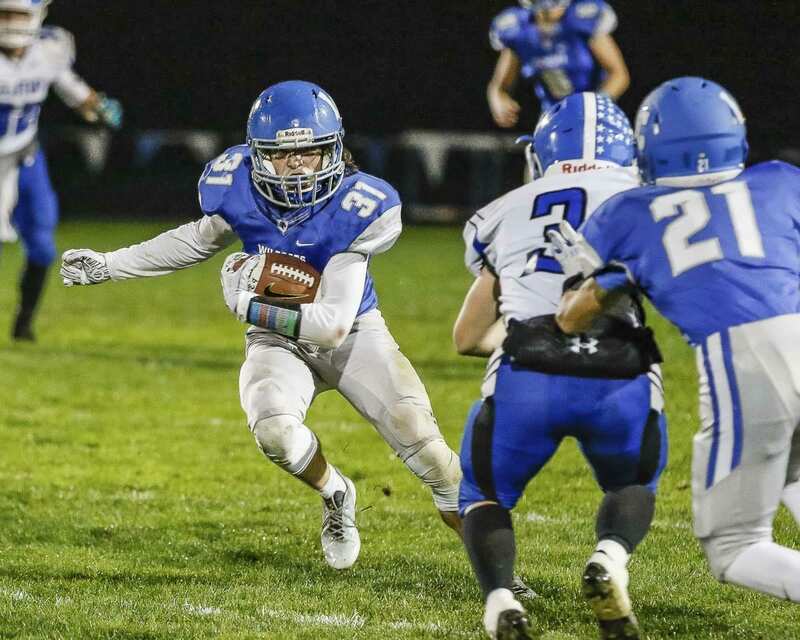 Elma’s Cody Vollan scored on a 4-yard run late in the third quarter, then Brumfield took over in the fourth quarter. He had consecutive runs for 11, 8, 8, and 9 yards for a touchdown, giving the Eagles a 33-21 lead with 3:58 to play. Elma was 2-7 his freshman year. Now a senior, Brumfield said this has been a dream for the Eagles, realized because of their hard work. It will be Elma’s first state appearance since 2005. Dodson called the playoff environment “crazy” and “fun” despite the loss. He and his fellow seniors saw their high school football careers come to an end. He said it was an honor to play for “one of the greatest coaches” in Lambert. RUSHING: Elma — Brumfield 29-164, Brady Shriver 11-71, Vollan 8-18. La Center — Dodson 15-32, Lambert 20-104, Jeremy Humphrey 2-0, Collin Namanny 1-0, Irving Alvarez 1-7. PASSING: Elma — Vollan 4-7-0-83. La Center — Lambert 6-15-1-71, Dodson 1-1-0-27. RECEIVING: Elma — Carter Jacobson 1-26, Richardson 3-57. La Center — Humphrey 1-3, Andrew Scott 3-59, Jayden Schmitz 2-26, Alvarez 1-10.